St. Louis Missouri will host the ACS Central Region’s annual conference on June 28-29 2019. America’s “Gateway to the West” invites you to come to meet fellow conifer enthusiasts while exploring the many botanical and historical attractions. To register, you may use the link below, download the form or use the form that will be included in the next edition of The Coniferite. The conference will begin Friday, June 28, at 4:00 pm with a reception followed by dinner and the keynote speaker. On Saturday, buses will transport you to five of the St. Louis area’s finest private gardens, all of which have many conifers. Saturday evening will feature dinner and the Central Region’s fund-raising plant auction. Our headquarters will be the Sheraton Westport Lakeside Chalet, 191 Westport Plaza, St. Louis MO 63146. The hotel is offering a special rate of $129 (plus tax)/ night. This rate is available from June 23 through July 4. The Sheraton can be reached for reservations toll-free at 888-627-7066 or you reserve your room online. When making phone reservations, reference the ACS Conference and specify the Sheraton Chalet. Reservations must be made by June 5. The hotel offers free parking and airport shuttle. Keynote Speaker: Dan Billman will be the conference keynote speaker with a topic relevant to all of us in the heartland: “Can the Central Region be a Conifer King?” With over 35 years of experience in the ornamental horticulture field, Dan is well equipped to launch us into the conifer kingdom. Dan earned his B.S. and M.S. degrees in Plant and Soil Science at Southern Illinois University-Carbondale, and then joined Home Nursery, Inc, a large midwestern wholesale producer of ornamental plants, as their research and development manager. where he specialized in integrated pest management, plant nutrition, and water management. Five years later Dan joined the St. Louis Community College as an assistant professor. His teaching assignments included Introductory Horticulture, Woody Plant Identification, Pest Management, Plant Propagation and Soil Science. Then, after twenty years of teaching, Dan joined the knowledgeable team at St. Louis’ Kirkwood Gardens. Today he continues to influence the horticultural industry through presentations for arborists, landscapers, master gardeners, the Missouri University Extension Service, and the general public. Dan’s passion for horticulture is hard to hide. 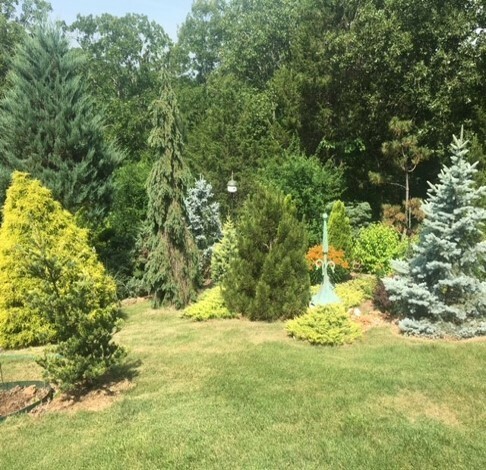 Mike Curran has an impressive conifer collection in the St. Louis suburb of Chesterfield. The garden sits atop a high hill, and a large berm surrounds the property creating an amphitheater, with the house and patio at the bottom. Conifers are magnificently displayed along and throughout the berm. Incorporated into this planting are Japanese maples, perennials, and other unique trees and shrubs. Mature unique exquisite conifers decorate the landscape and provide a wonderful balance of splendid seasonal color reflecting rich and bold evergreen tones. The garden of Chick and Bruce Buehrig is set on a steep two-acre hillside. Growing beneath majestic oaks is an understory of Japanese maples, dogwoods, boxwoods, conifers, and more. Interspersed among these plantings are hostas, ferns, Solomon seals, Rohdea japonica, and a host of other perennials, some rare and unusual. Interesting features in this woodland garden are numerous rock gardens, waterfalls, ponds, a hidden rock garden, a natural stream flanked by conifers and a series of winding paths connecting all parts of the garden. Set in the heart of St. Louis County lies the garden of Lesley and George Schoedinger. Two gardens seamlessly meet and blend as one, displaying extravagant flame-cut marble walls balanced by natural stone boulders. 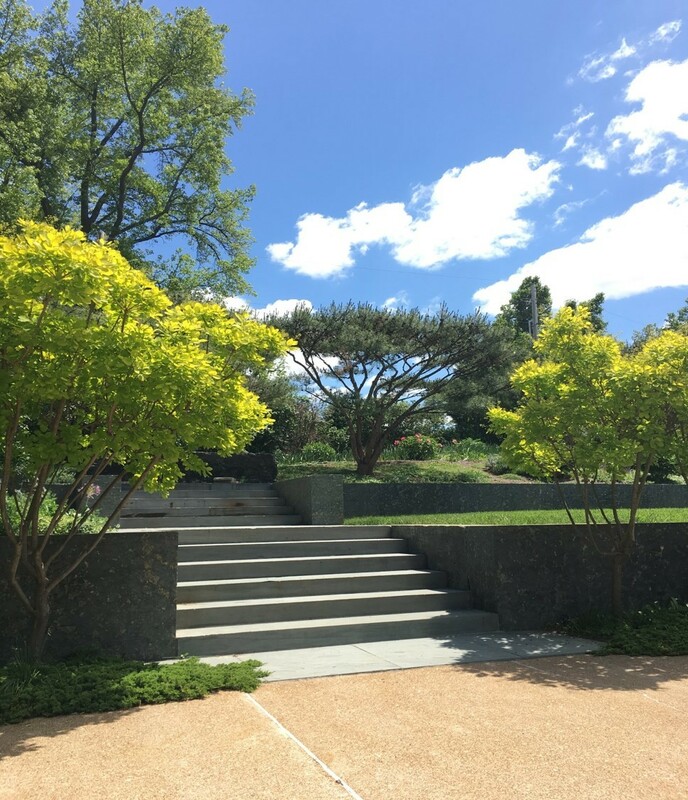 Enchanting bluestone walkways transport one through lush and mature evergreen plantings which are aided by seasonal color and masses of perennial interest. Vast elevation changes throughout ensure breathtaking views from all areas of the garden. Dramatic use of colors with natural pathways offers great contrast between textures, colors, and depth. Catspaw Garden is the creation of Craig and Diana Plahn. Diana and Craig designed and built their home in the St. Louis suburb of Kirkwood in 1990. The lot was chosen for its wooded privacy and an open area for a small hobby greenhouse to grow their prized orchids, with no thoughts of gardening in the heavy clay and rock soil. Due to the slope of the land and flash flooding from heavy rains, the Plans built stone terrace walls. This is a garden where everything is done by the Plahns with no outside help. They have created a fine example of a half-acre terraced garden carved out of a hillside along Sugar Creek. The lower acre is left to the deer. 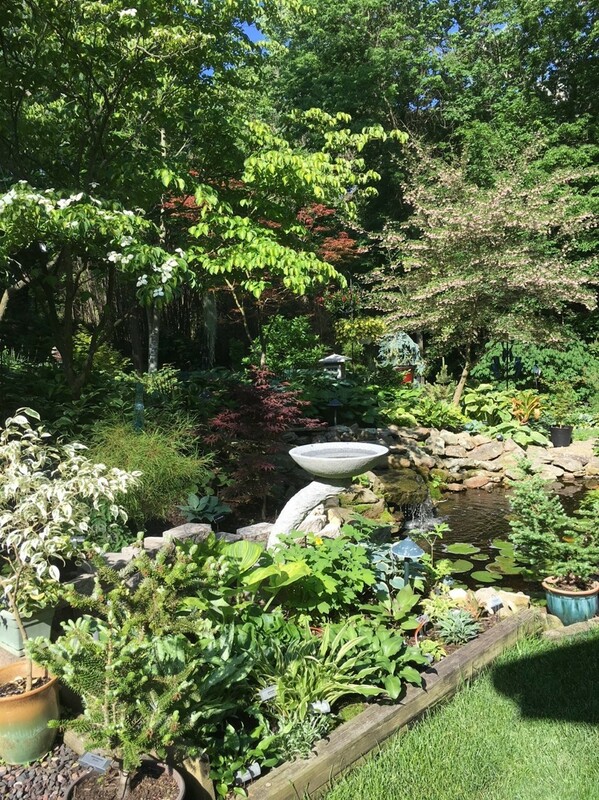 This is a collector’s garden of hostas, daylilies, Japanese maples, conifers and other unusual trees. 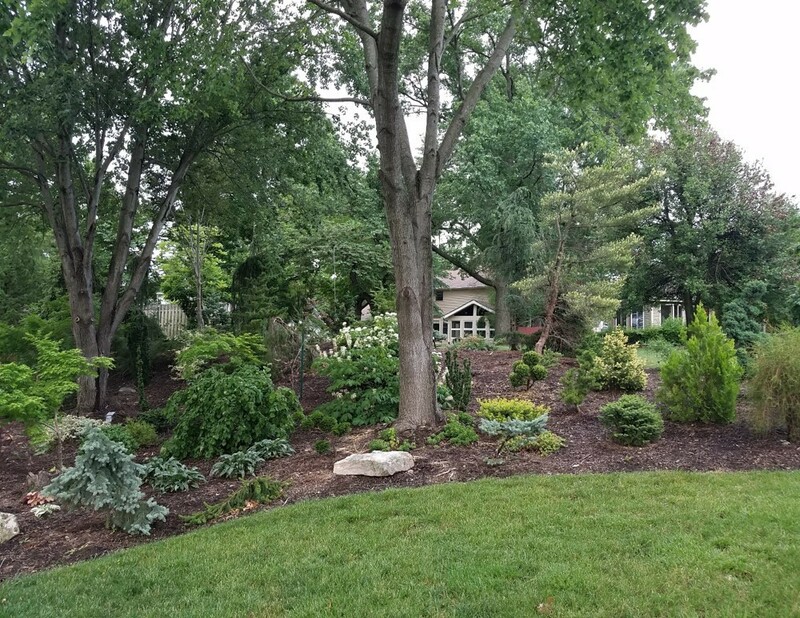 The beds are artfully arranged to allow for companion plants along with their “specialties.” You will enjoy the small waterfall that cascades into a naturalized pond as well as several freestanding or sunken tub gardens. Kerry Wright’s garden captures the beauty of Missouri Hill Country, overlooking a valley with the hills as a backdrop. Approximately 500 conifers will entice you to explore this wonderful setting. A formal boxwood garden centers the view of the surrounding hills. Architectural details enhance the garden with an exceptional owner-designed and built garden shed. Some of the area’s most unusual conifers will be on display. Kerry’s keen interest in conifers extends to volunteering his time at major conifer nurseries to keep abreast of current trends. The vast collection of conifers with many witch's brooms will make you want to linger in this spectacular garden. Saturday’s bus tour will leave the hotel at 8:00am. Buses will follow separate routes in order to avoid congestion in the gardens. A box lunch will be served and tour gardens will have refreshments. If you have questions or need additional information, please call David Speth, ACS CR Treasurer at 920-889-2082 or email him. The Great River Roadis considered one of the top ten scenic drives in the country. You might begin at Cahokia Mounds, www.cahokiamounds.org.Near... is the Lewis and Clark Encampment and Museum and an overlook of the confluence of the Missouri and Mississippi Rivers. Follow the Mississippi past enormous bird sanctuaries. Elsah is an 1850’s river town. Continue to Grafton and the Aerie Winery, then to Pére Marquette State Park, where the Mississippi and the Illinois Rivers join. 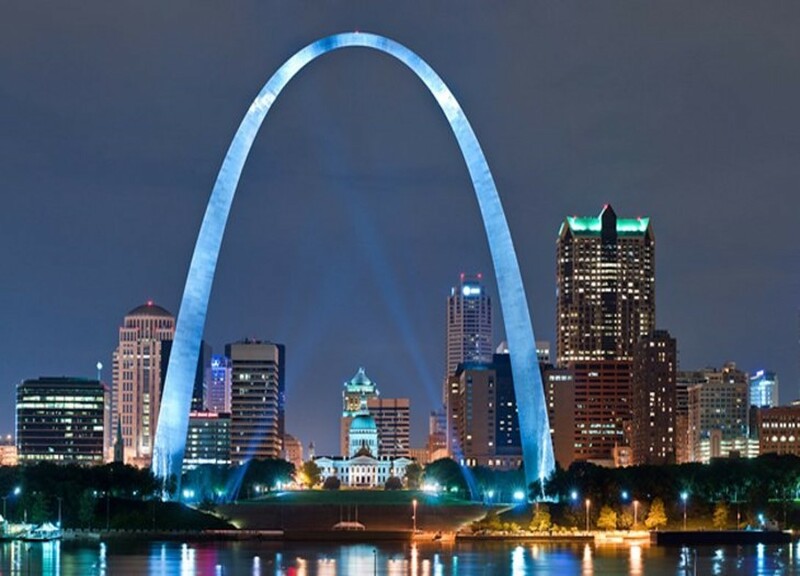 Allow approximately 6 hours for your round trip beginning in St. Louis and visiting each site. For more information visit The Meeting of the Great Rivers Scenic Byway, www.visitalton.com ... St. Louis Basilicarivals any cathedral in Europe. With over 40 million mosaic pieces, it is the largest mosaic structure in the world. www.cathedralstl.org. <... short mile away is Forest Park and its many attractions including a world class zoo, www.stl.zoo.org, St. Louis Art Museum, www.slam.org,the &nbs... History Museum, and hundreds of acres of ponds and gardens. All have free admission. The Missouri Botanical Garden is an 80-acre horticultural paradise. www.missouribotanicalgarden.or... Nature Reserve, www.shawnature.org,a part of the MBG family, is 2,700 acres of walking and driving trails located outside the city and into the beginnings of Missouri’s Ozark Mountains. Next to Shaw Nature Reserve is Purina Farms, www.purina.com/about-purina/pu... hosts a wide range of animal exhibits. All of these attractions are about 40 minutes from the convention hotel. Bellefontaine Cemetery and Arboretum was founded in 1849 and is the only accredited arboretum in the City of St. Louis. It includes species from around the globe. With 314 acres and 14 miles of roads, the Arboretum affords beautiful views of the landscape, including thousands of shrubs and trees and hundreds of works of art. The grounds are open to the public year-round for a guided tour or visit on your own. http://bellefontainecemetery.o... Town St. Charles offers miles of shopping along an historic street. The shopping district is along a park next to the Missouri River and only 20 minutes from the convention hotel. This only touches the surface of things to see and do. Fine dining abounds throughout the area. Some of the best Italian restaurants are located in a St. Louis neighborhood called “The Hill.” Barbeque pits are everywhere. Don’t miss Pappy’s, Bogarts, or Sugarfire. Consult your handouts for even more. Whichever sights you choose, welcome to St. Louis! We look forward to seeing you at the meeting.